Each year new statistics are released that outline the rise in popularity and market share of craft beer. Many big brewers who initially dismissed craft beer as a “fad” are now taking notice as the growth of the craft beer industry cuts into their bottom line. This market shift has led to the implementation of a couple of strategies used by big beer to gain a toehold in the growing craft market. The majority of the big beer brewers now aggressively promote “crafty” beers, quaffable versions of the easier to drink and less intimidating craft styles. The other strategy has been to buyout popular craft breweries. This is a common practice in many industires, and it will be interesting to see its effect on craft beer. Many craft beer enthusiasts were distressed when the popular Boulevard Brewing Company was bought out by European powerhouse Duvel Moortgat. Boulevard insisted that the quality of their offerings wouldn’t waver, and the buyout would allow for increased distribution and expanded offerings of some previously hard-to-find beers. Other American breweries have undergone similar buyouts, including Ommegang (Duvel as well), Blue Point and Goose Island (both InBev). It will be interesting to see how this trend effects the quality of the product, and the bottom line for both the acquired craft brewer and the corporate conglomerate. 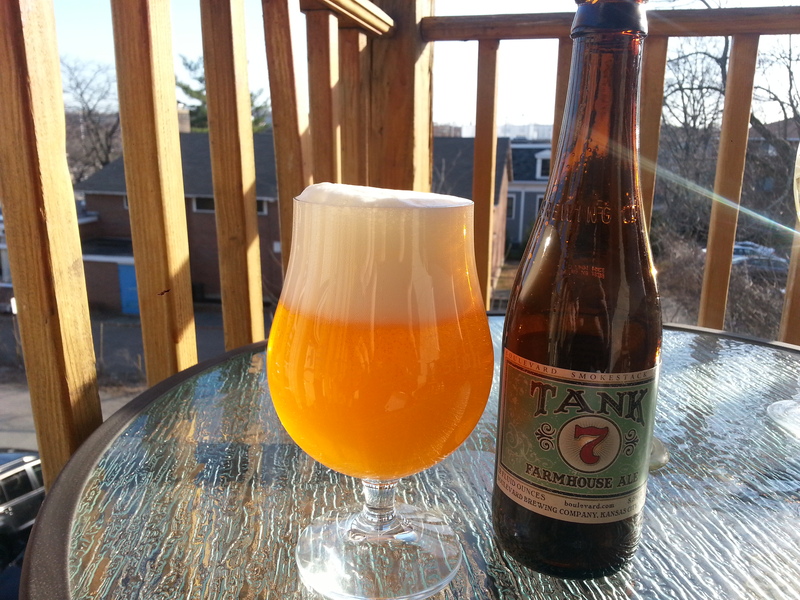 One of Boulevard Brewing’s signature beers is Tank 7, a year-round saison. Tank 7 is named after a difficult and notorious piece of equipment at Boulevard’s brewery, which happened to be the tank where the first batch of this saison was brewed. Brewed with pale barley malt, malted wheat and corn along with Magnum, Bravo and Amarillo hops, this is an aggressive version of a traditional farmhouse ale. Tank 7 is widely distributed on draft and in 12 oz and 750 mL bottles. Boulevard Tank 7 pours a deep yellow, mostly clear with a huge white head. The smell is pretty mild, you get some fruity esters and spiciness from the Belgian yeast and a little citrus from the hops. The yeast gives a stronger impression in the flavor, significant notes of pepper and green apple. The hops also add substantial character, with touches of lemon, orange and flowers. The beer is rounded out by a solid malt backbone contributing hints of wheat bread and grain. Tank 7 is light and drinkable with a noticeable hop bite. It’s kind of shocking that it weighs in at 8.5% ABV, beers this easy to drink with that much alcohol can be slightly dangerous. Boulevard Tank 7 finishes dry with a little lingering bitterness on the tongue. I can see why this beer became one of Boulevard’s most popular offerings, it is a very well done version of a saison. Regardless of the current brewery ownership good beer is good beer, and I will keep drinking beers like this. 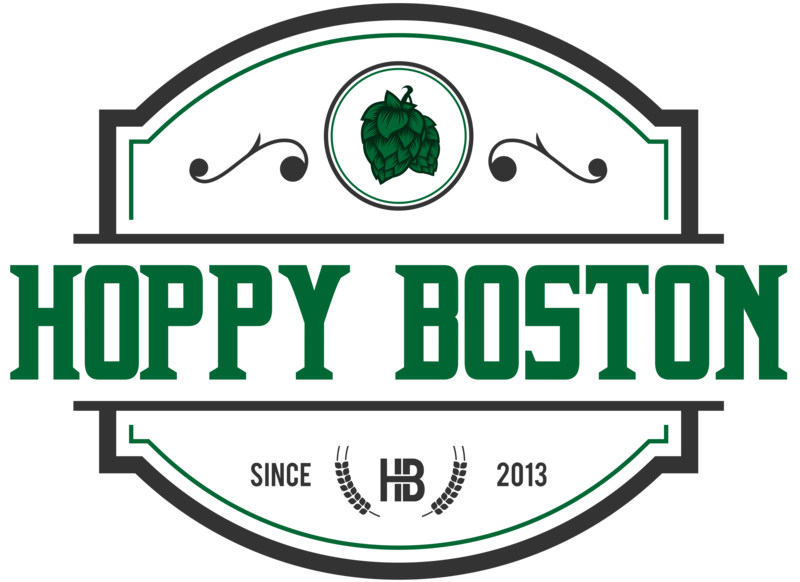 Hoppy Boston score: 4.5/5.